We use a WordPress plugin called Amazon Showcase WordPress Plugin to put books from Amazon on some of our client’s sites. Well, we used to, until recently. There are parts of this long URL which seem to be pretty easy to understand and they seem important and there are some part which seem to be redundant. After reading some articles on this topic we decided to create a quick tool to generating these Amazon Affiliate Links. The basic idea comes from this nice article from 2008 and even nicer from 2009. Other thing which bugs us about the Amazon Showcase WordPress Plugin is that it’s not caching the images. The images are always loading from Amazon servers – slowing down your page load. That’s why we are working on our own Amazon plugin which we may release on wordpress.com when it’s ready (it will have nice URLs and will store the images locally, among other cool features). 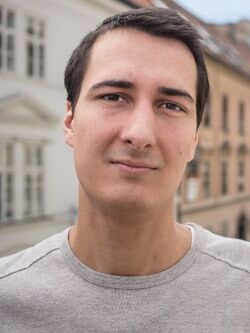 Martin graduated as an engineer in Computer Science from Slovak Technical University in Bratislava. He grew up in Liptovský Mikuláš in northern Slovakia next to the beautiful Tatra mountains. He is the developer behind our FV Player.